Philip Wilson - Awarded the Angelo S. Petitto & Carolyn Arena Petitto Memorial Scholarship for $1,000. 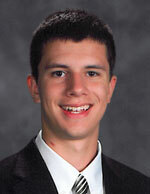 Philip currently attends Notre Dame High School and will attend the University of Notre Dame in the fall. Carrington Riggs - Awarded the Harry Green 7 Acres Scholarship for $500. Carrington currently attends Bridgeport High School and will attend West Virginia University in the fall. Jacqueline Costello - Awarded the Florence Roberti & William Burnett Memorial Scholarship for $500. 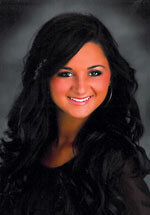 Jacqueline currently attends East Fairmont High School and will attend West Virginia University in the fall. Haley Sommerville - Awarded the WVIHF Board of Directors Scholarship for $500. Haley currently attends Robert C. Byrd High School and will attend Pierpont Community & Technical College / Fairmont State University in the fall. 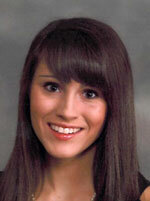 Traci Gibson - Awarded the Mary L. "Weege" Vargo Scholarship in Memory of Margaret Rose Devono Vargo for $250. 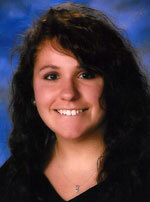 Traci currently attends Capital High School and will attend West Virginia University in the fall. Christa Calangelo - Awarded the Rose Mary "Wizzie" Brunetti Tennant Memorial Scholarship for $250. 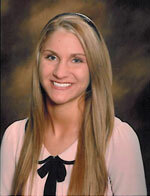 Christa currently attends Wheeling Park High School and will attend Villanova University in the fall. Erin Wambaugh - Awarded the Frank J. Roncone Memorial Scholarship for $250. 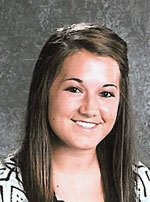 Erin currently attends Grafton High School and will attend West Virginia University in the fall. Maria Martino - Awarded the Anna Allessio Pishner Memorial Scholarship for $250. 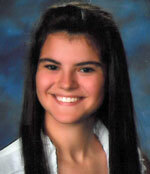 Maria currently attends Notre Dame High School and will attend West Virginia University in the fall. John Martino - Awarded the Josephine V. Roncone Scholarship for $250. John currently attends the West Virginia University School of Dentistry.